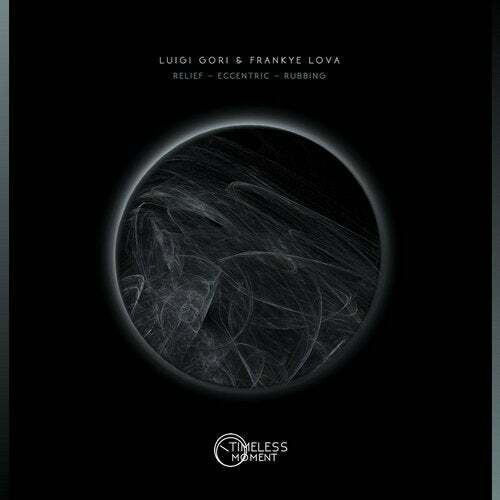 Italians Luigi Gori and Frankye Lova debut on Timeless Moment with three Melodic Techno gems: Relief, Eccentric and Rubbing. The main themes involving the first two tracks of the EP, Relief and Eccentric, are darkness and hypnosis, with both bringing obscure progressive atmospheres, organic analog synth lines and solid dance floor grooves. The third and final track of the EP is more Techno orientated with a slight "Cirez D' feel to it. The effects of "Rubbing" on the dance floor are notable and euphoric due to its powerful bass line and kick drums that are followed by an amazing introspective breakdown, turning this one a secret timeless weapon for the underground lovers.